Experience the best place in the world for mantas, sharks, dolphins, and humpbacks, on the Rocio del Mar! Fly into San José Del Cabo, Mexico for amazing liveaboard diving in the beautiful Socorro Islands. La Concha Beach Resort - $1,803 p.p. Hotel Catedral La Paz - $1,670 p.p. ✓ Amazing boat, staff, food and crew! 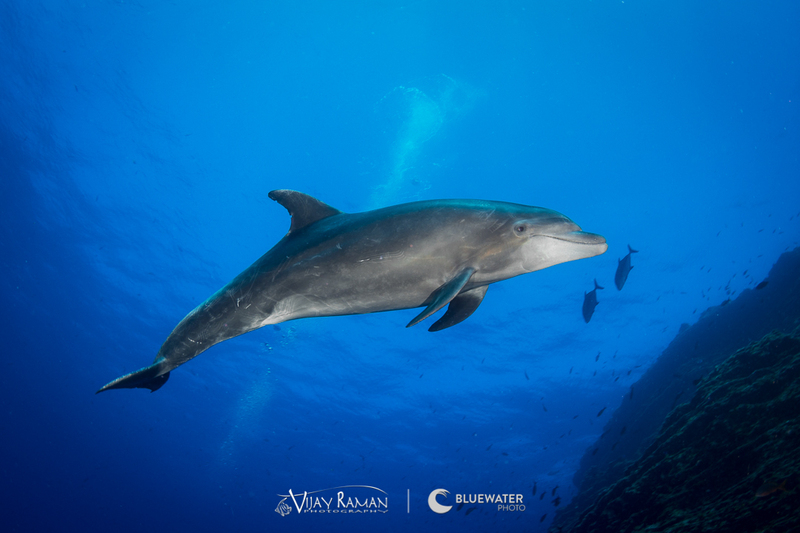 This trip is timed to offer the best opportunity to see hammerhead & silky sharks, humpback whales, dolphins and large schools of fish. 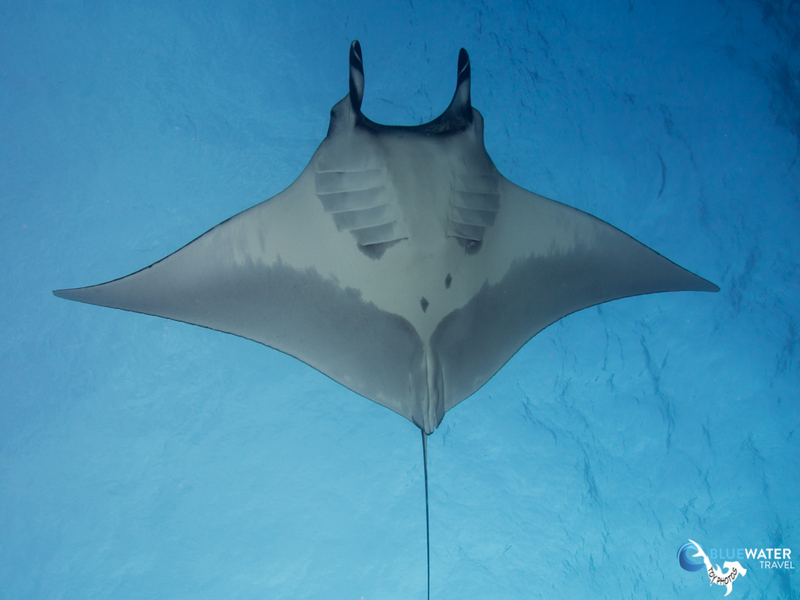 Of course, many giant mantas will also be present. Sail and dive in comfort on the incredible Rocio del Mar. Price includes local beer and house wine. 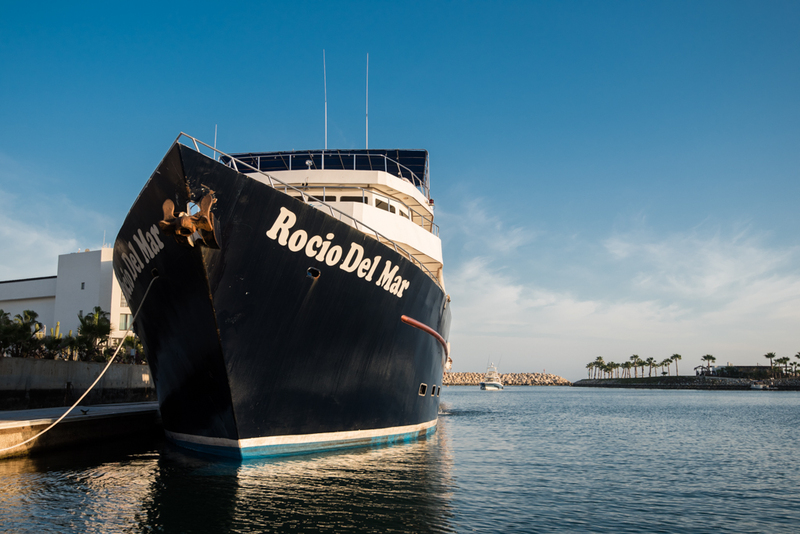 > Day 1 (March 18) - Rocio Del Mar will be ready for boarding at 5:00pm, dinner at 7:00 pm, and will depart that evening. > Day 2 - Rocio del Mar arrives at San Benedicto. Start Diving! 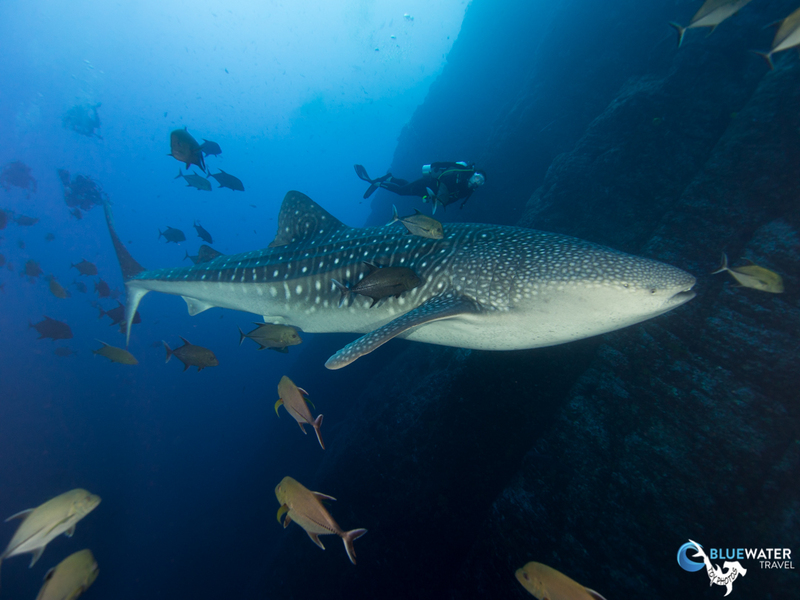 > Day 3 – San Benedicto, 4 dives scheduled. 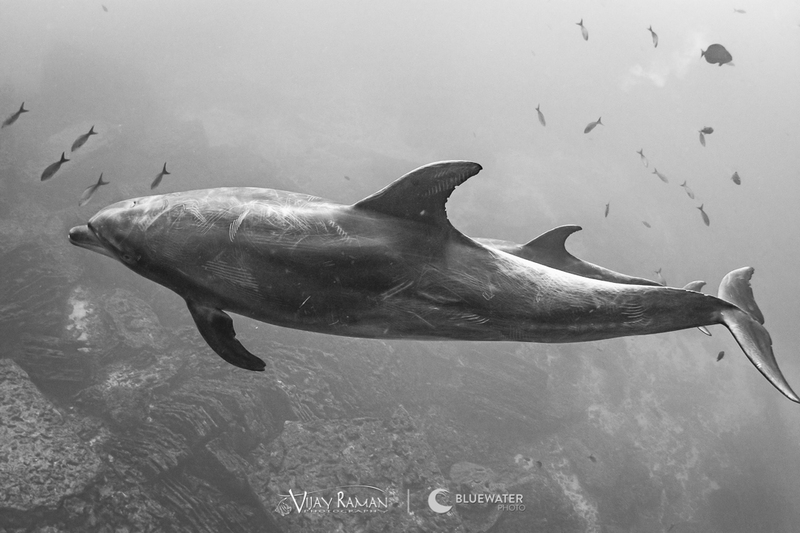 > Day 4 – Roca Partida, 3 dives scheduled. 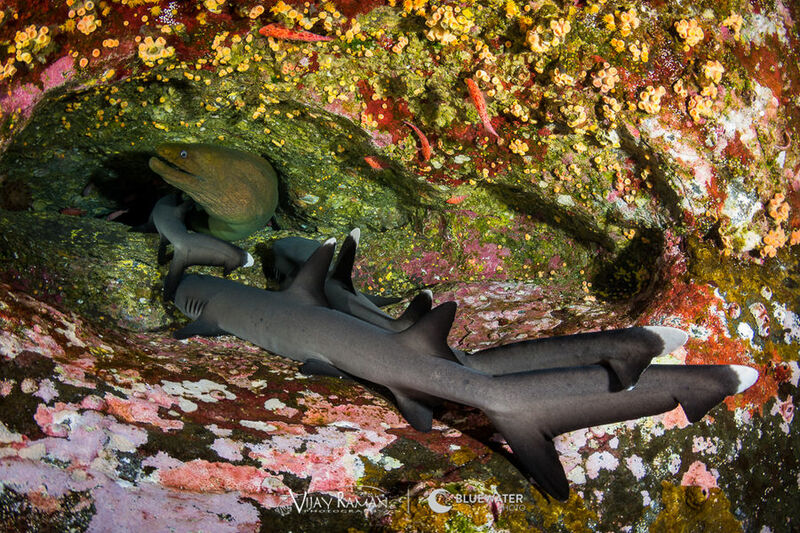 > Day 5 – Roca Partida, 3 dives scheduled. 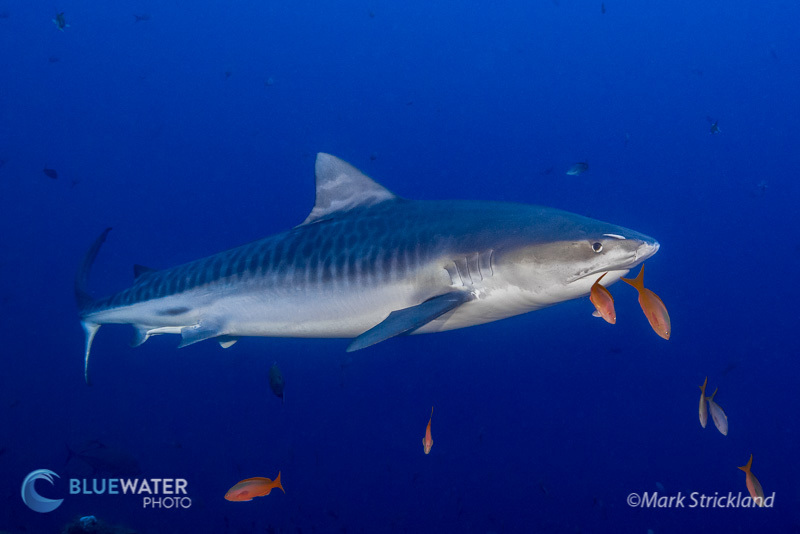 > Day 6 – Socorro Island, 4 dives scheduled. 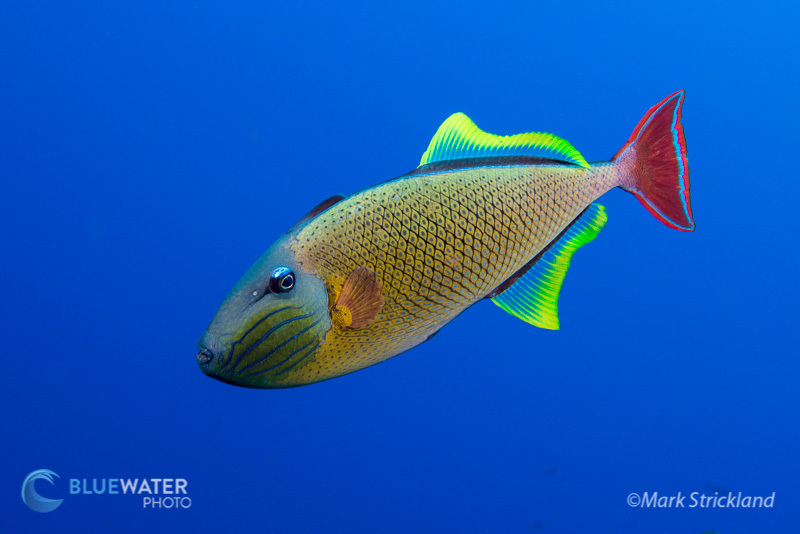 > Day 8 – San Benedicto, 4 dives scheduled. At the end of this day, we will start our departure to San Jose del Cabo. > Day 9 – Arrive at San Jose del Cabo. Guests may sleep on the boat. 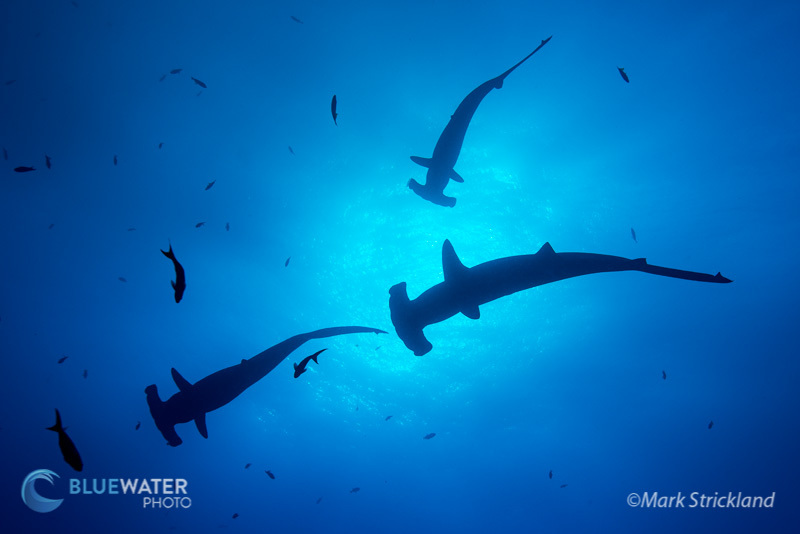 These islands are a spectacular magnet for a wide range of big pelagic animals. Schooling Hammerhead sharks, dolphins, silky sharks, Galapagos sharks, clouds of jacks and barracuda, tuna, wahoo, marlin, oceanic whitetip sharks, whale sharks, and mantas. Water temperature will be around 72-79 degrees F. Hammerheads, silky sharks, humpback whales, dolphins, schools of fish and more will be aplenty. To learn more about what you can expect from this Socorro trip check out this trip report. You can also read the great reviews of the Rocio del Mar & the reviews on diving Socorro here. 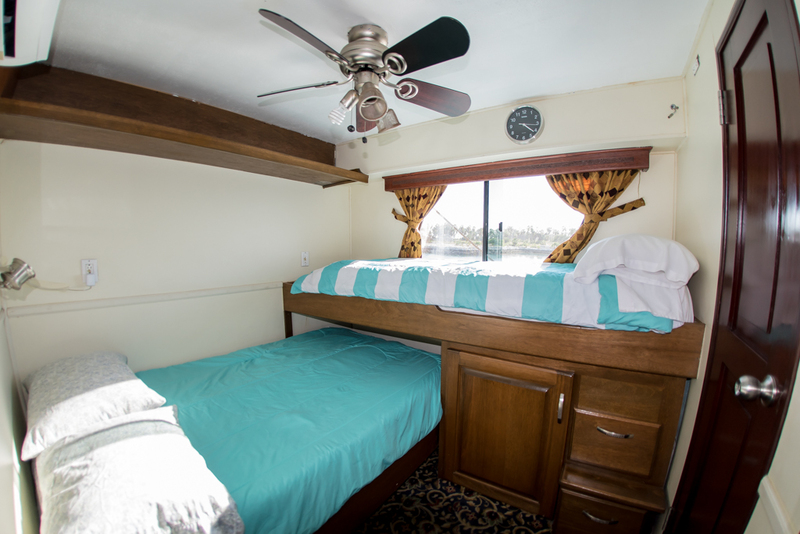 Rocio Del Mar offers 10 comfortable guest staterooms on two decks. All have private bathrooms with hot shower stalls, western style toilets, lavatories, and above height window. Each cabin is carpeted and air-conditioned. 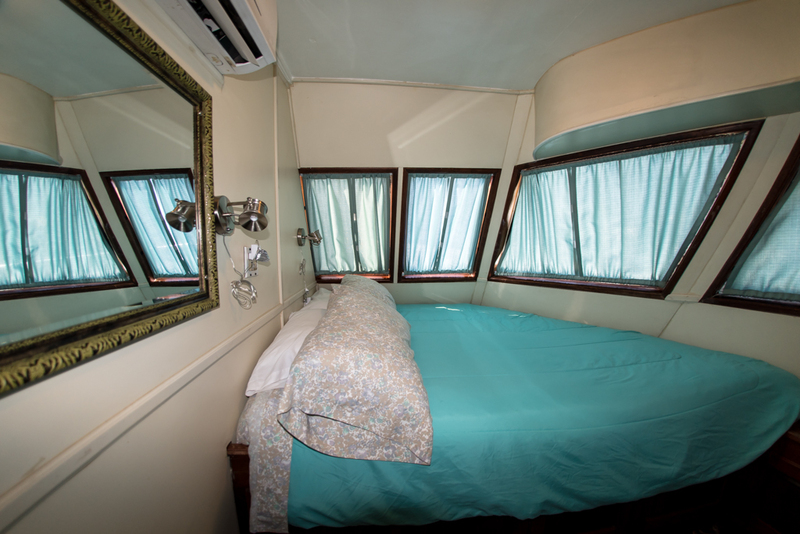 There are room length windows with privacy curtains and convenient gear and clothes storage drawers beneath the beds. Check out this page to see more details and customer reviews on the Rocio Del Mar. 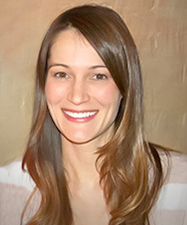 Katie Yonker is the Director of Operations for Bluewater Travel. Her interest in scuba diving started many years ago while on vacation in the British Virgin Islands. Though not yet certified, she was mesmerized by the marine life below the surface. As soon as she returned to Los Angeles, she swapped her mask and snorkel for a regulator and BCD (and a mountain of other dive equipment) and hasn't looked back since! Katie is no stranger to the Southern California waters, but prefers to travel around the world and experience new cultures, food, and marine environments. Her most memorable dive moment was swimming 20 feet from humpback whales off the coast of Moorea. At the top of the list for her next dive vacation: returning to Raja Ampat. Learn more about Katie here. Trip attendees should fly in and out of San José Del Cabo, Mexico (airport code SJD). 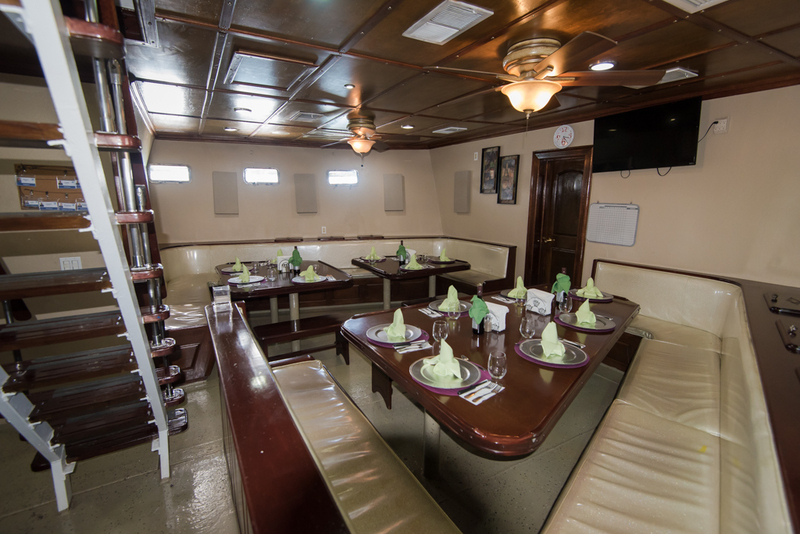 Guests can arrive on the morning of March 18 before boarding the boat that day. Transfers to and from the boat are not included in the price. You will have to hail a taxi to get to the port. Return flights should be made anytime on the last day of the trip. Rocio crew will help arrange group taxis back to the airport. Recommended nearby hotels to book for extra nights include the Tropicana Inn, Hotel El Ganzo, or El Encanto Inn & Suites. You can get 10% off at El Encanto Inn by mentioning that you will be staying on the Rocio Del Mar. The Hotel CostaBaja Resort & Spa is the first and only luxury hotel & spa in the city of La Paz. This boutique hotel offers a selection of ocean, mountain and marina views. North of the hotel is Espiritu Santo Island, where you will find the greatest marine life in the world and the best sport fishing within Baja Sur. Price: $1,803 per person based upon double occupancy. A beach resort offering a peaceful and mellow atmosphere on the Sea of Cortez. Over a hundred sea view rooms are featured in La Concha Beach Resort. Located in front of the ocean and with full view to the beach and pool, the accommodations include from essential details to luxury amenities. Price: $1,670 per person based upon double occupancy. Hotel Catedral La Paz is a new concept of accommodation to suit the needs of today's travelers. It is part of the historic center of the city, surrounded by major attractions next to Our Cathedral Lady of La Paz. With its sophisticated contemporary modernist architecture, Hotel Catedral La Paz it focuses on every detail to offer its guests an excellent service and quality, both in the rooms and its gourmet restaurant.